For all of you aspiring James Bonds out there (we're looking at you Idris Elba and Tom Hiddleston) Oliver Sweeney has created 'The Secret Shoe'. 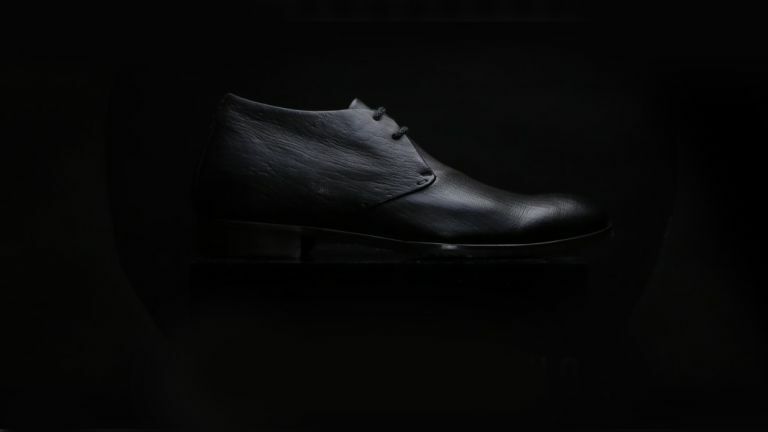 The Secret Shoe is hand crafted in Italy from wild red deer sourced from Scottish Estates. Each hide is hand selected by Oliver Sweeney's Cobbler-in-Chief and vegetable tanned in small batches for a unique finish. The smart derby design features a hidden compartment in the sole that can hold three items (six in total across the pair). Best not wear these at an airport. When you order the shoe you'll be contacted by a member of the Sweeney team to discuss what you'd like to include – as this item is bespoke, there's also the option to add alternatives, such as a key compartment, hidden switch blade, pistol, razor wire, cyanide pill (only one of those is real). Oliver Sweeny says it's "a shoe designed for extraordinary missions and everyday emergencies from loosing your jacket on a night out to being kidnapped". In addition to the hidden Bond gadgetry, the laces are made from Kevlar, and can act as a friction saw cutting through wood, plastic or a henchman's neck. And, as a final touch, the leather sole that can be inscribed with your details, from your name, blood type or even your GPS coordinates. Have we missed any? Let us know on Twitter, Facebook or Instagram. The Oliver Sweeney Secret Shoes come in Black, Dark Brown, and Tan, and are priced at £2,000. How about an Aston Martin to go with your shoes?